Thank you to all those who applied to be Student Delegates at the National Constitution Society(NCS) Convention 2018. We are pleased to say we received a total of 124 applications, despite the packed examinations schedule in November. We accepted 32 applicants, making the acceptance rate for this year’s NCS Convention 25.81%. 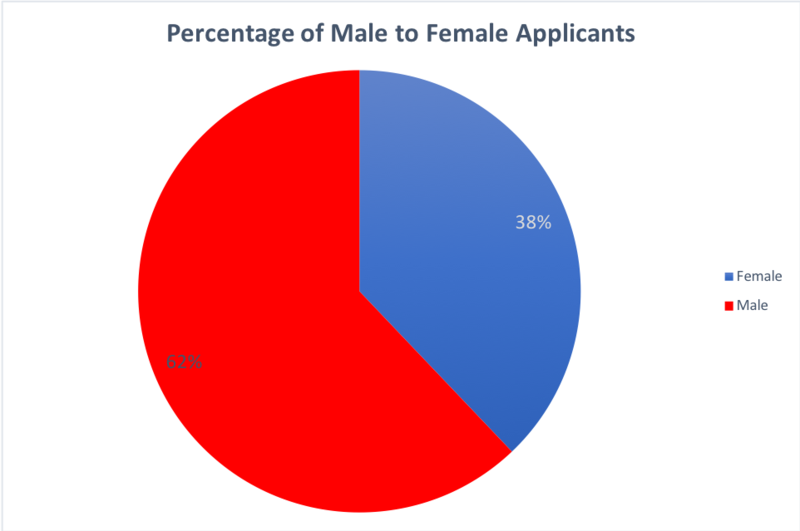 47 applicants were female, meaning that 38% of our applicants were female. By comparison, 44% of our selected applicants are female. 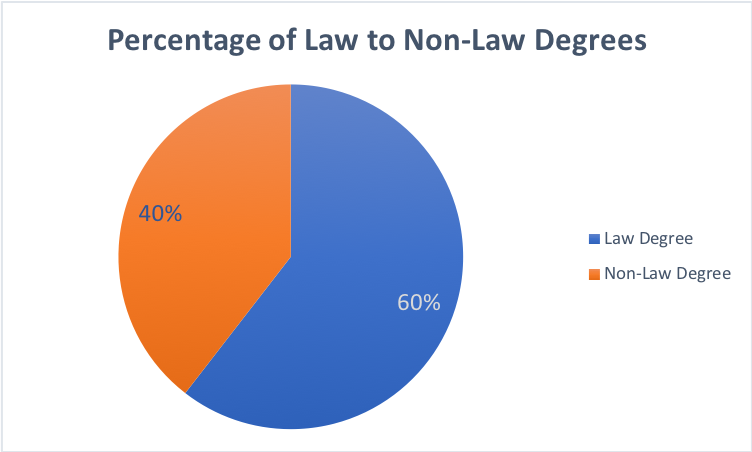 As expected, a majority of our applicants study law. 93 of our 124 applicants are pursuing law related degrees, such as BA LLBs, BBA LLBs and BLS LLBs. We received a large number of applications from undergraduates studying in Bangalore. 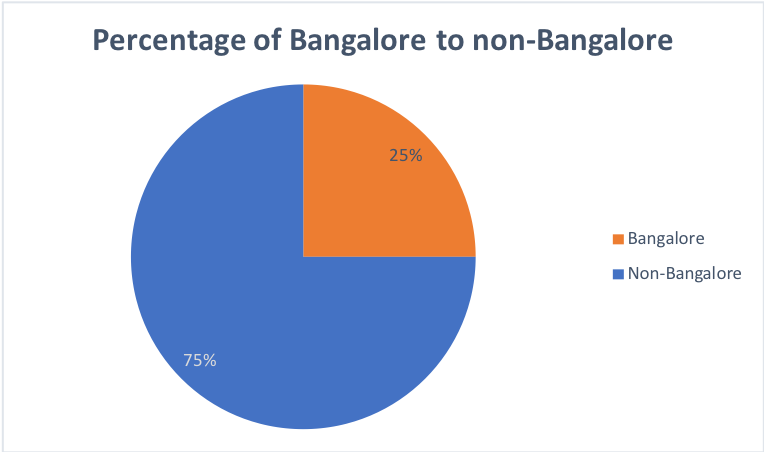 25% of our applicants hailed from Bangalore. By comparison, we received fewer applicants from Mumbai and New Delhi combined. 19.35% of our applicants hailed from either Mumbai or New Delhi. In the future, we hope to see more applications from outside Bangalore. A majority of applicants hailed from the South and the North. 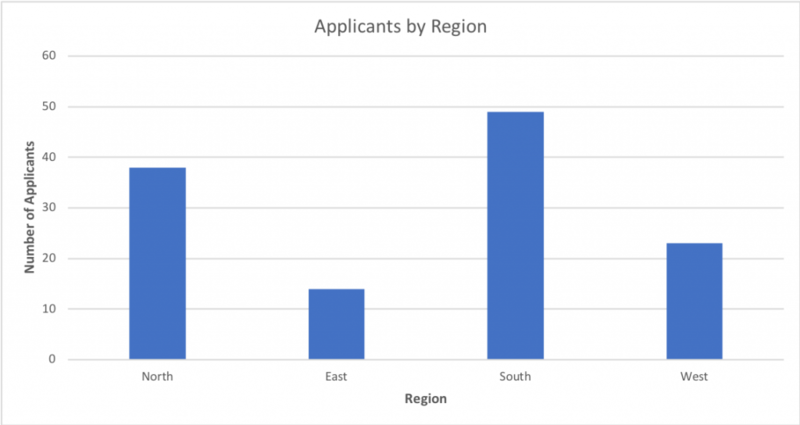 40% of applicants stemmed from the South and 31% of applicants stemmed from the North. Note that we grouped the Centre with the West and the Northeast with the East. Only 24 of our applicants submitted the optional video. In general, it appears that students who submitted videos had stronger applications overall. 19.35% of all applicants submitted videos. This percentage increased to 25.00% for selected applicants.